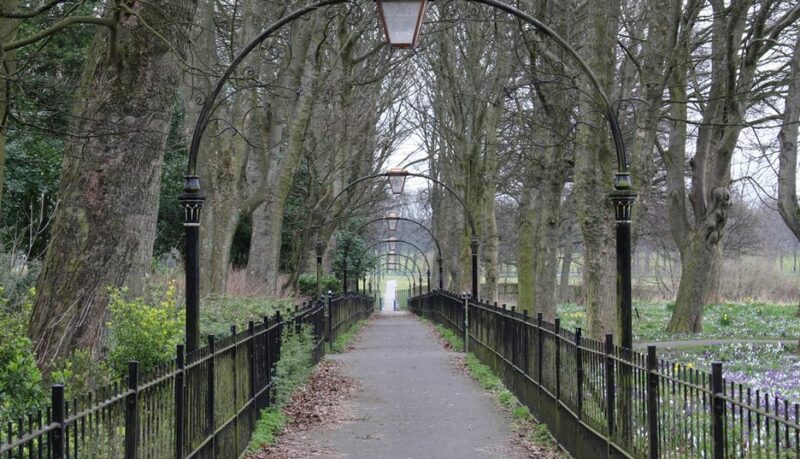 Nuns Moor Park, located in the West End of Newcastle, is a park with a lot going on, but management of the city’s recreation areas is about to undergo a big transformation. Facing the impact of year-on-year reductions in central government spending, councils up and down the country are being forced to consider how parks will be managed in future. 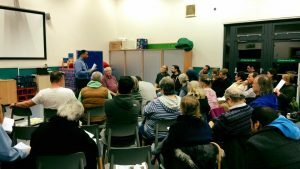 At a recent public meeting organised by the Greening Wingrove Community Interest Company, some 50 local residents heard how Newcastle City Council (NCC) intends to hand over control of parks to community groups. 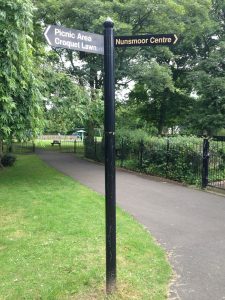 Although nothing is set in stone as yet and there is no final blueprint for how this change will happen, the Council is looking to a future where it will no longer fund basic maintenance of parks – litter collection, hedge trimming, grass cutting, fencing, replacing and repairing park furniture or resurfacing outdoor play areas. The new future will see individual parks managed by groups “detached from Council bureaucracy”, NCC spokesperson Narindar Bhabra told residents. Groups will have to find the funding to maintain their own parks but be able to do the things they want “very quickly”, with minimal restriction from the City Council. “Absolutely key” however and “at the crux” of the Council’s thinking was an insistence that parks be maintained as “centres of therapeutic excellence”, said Bhabra. A board will be established to oversee standards and provide skill development training to enable communities to fulfil their new responsibilities. The Council hopes to consult with the public about these proposed changes from late December into January, with a view to finalising proposals by autumn next year. As a swift follow up to the positive public meeting, Greening Wingrove will be holding a first Nuns Moor Park Clean Up event on Sunday 13th November, inviting along residents to help identify how the park can be looked after and improved and taking first action.